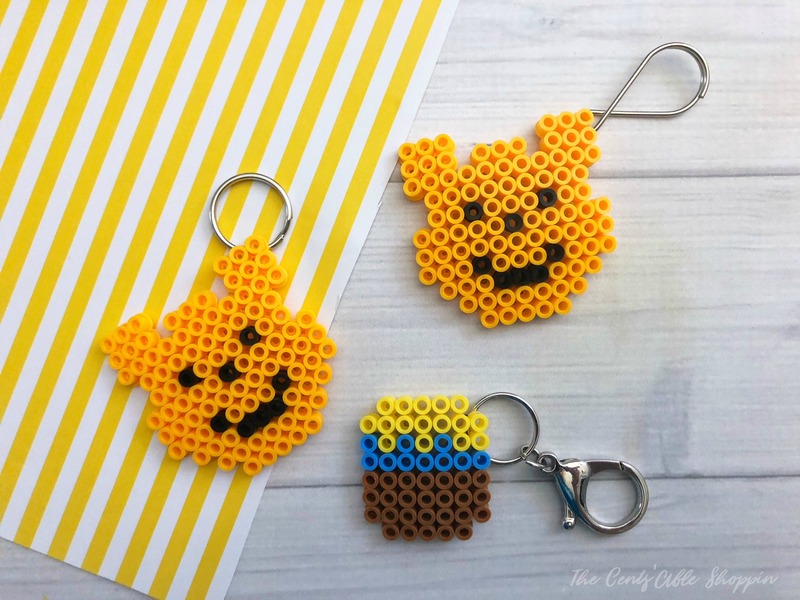 This Pooh Perler Bead Keychain is simple to make and surprisingly cute to make year round! 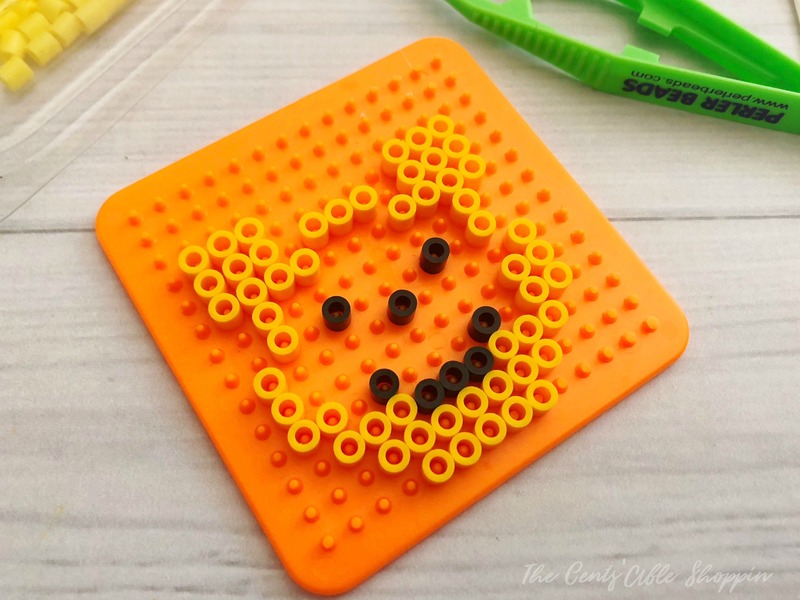 They are a fun way to keep kids busy on hot or rainy days! Perler beads can be a pretty incredible thing to have on hand at home. Not only can you do fun holiday craft projects with your kids, they can also be a proven way to keep younger kids busy during a long, hot Arizona summer. This summer was such a hot one, y’all – even for those of you outside of Arizona. I heard that the temps were pretty high in many states (even Texas, Ohio and Colorado). Here in Arizona it feels as if the summer kind of drags on. As much as we played in the pool and hit up the local splash pad, my kids were always looking for super fun things to do. Tie die shirts and perler beads were the hit this summer for us and have been keeping the kids busy for hours and hours! Grab a current coupon for Michael’s or Hobby Lobby and pick up all of the things you’ll need at your local craft store. 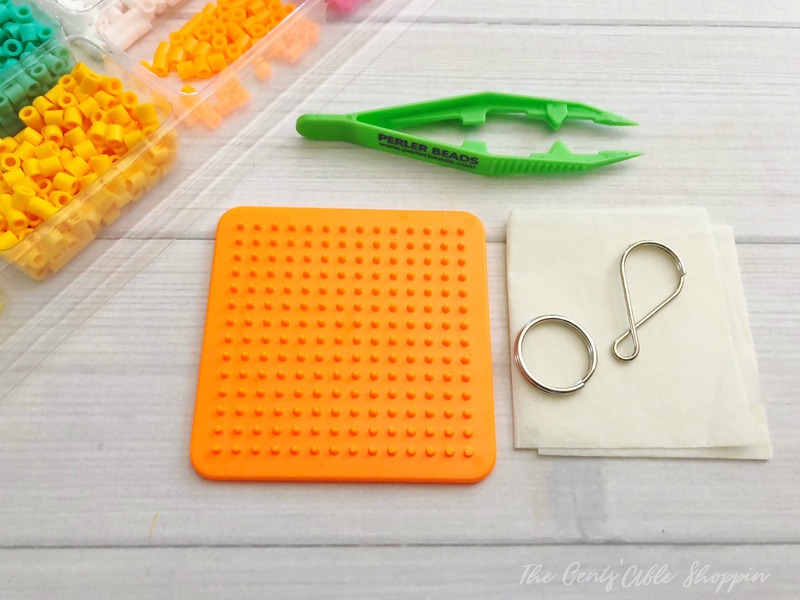 Use your bead tweezers to carefully pick up one yellow bead at a time and place it onto your pegboard. It’s easiest if you start outlining the Bear first. Use your black beads to make the eyes, nose and smile. 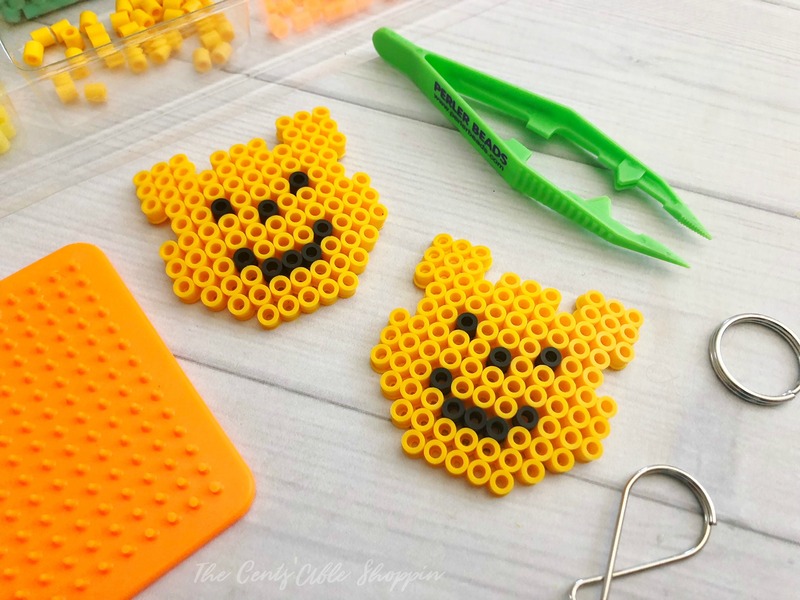 Then use your yellow beads to fill in the bear. Once your bead pattern is finished, carefully place a piece of ironing paper over top the beads and iron (no water or steam) for several seconds or until you can see the beads start to fuse together. Remove the iron and carefully pull the paper back off the pegboard (careful this will be hot) and peel the beads off the paper and immediately press flat with your pegboard. Once your beads have cooled, carefully open the keychain and push in through a bead hole. 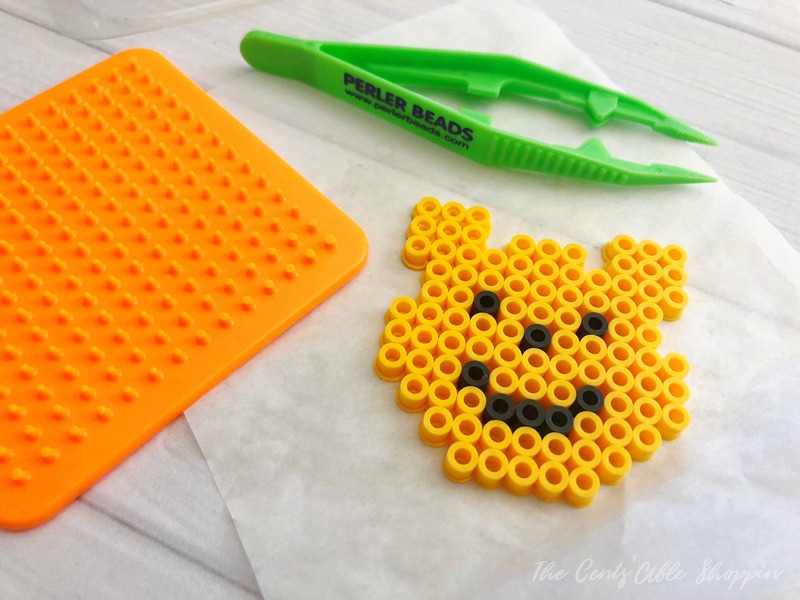 The possibilities are endless with perler beads!